No one wants to be in a hospital, whether it’s because of your own health or that of a loved one. They are chilling and intimidating. However, they provide a needed and valuable service that we are all thankful for. Mike Galbo is the COO and cofounder of the data collection application for hospitals, Aidin. Galbo aims to create a better relationship between hospitals, patients, and post-acute providers to decrease the likelihood of patients being re-admitted into hospitals. Post-acute care refers to the treatment and care patients receive after being discharged from the hospital for serious or life-threatening conditions. Aidin leverages Medicare data and prior patient experience to provide the best quality of post-acute care for patients. Through Aidin, hospital employees can access quality care ratings and reviews of the specialized and local post-acute providers during the discharge planning process, and share them with patients. 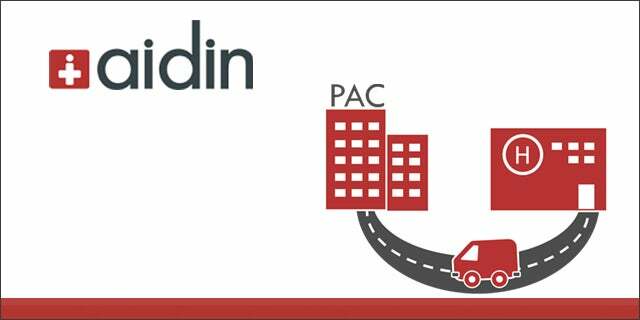 Not only does Aidin’s service provide a solution for patients, Aidin also provides a solution for hospitals. By harnessing data on post-acute care providers and matching patients with the best available care, hospitals cut down on the cost of re-admissions. As of October 2012, hospitals can no longer file for reimbursement for patients that are re-admitted within 30 days with the Centers for Medicare and Medicaid Services. With 25 percent of discharged patients that enter post-acute care returning to hospital care within 30 days, Aidin’s solution can save hospitals valuable money that they can use to improve their facility or care quality. Tech Cocktail asked Mike Galbo about his experience as a startup founder for Aidin. Tech Cocktail: What trend in the health care industry are you most excited about? Mike Galbo: In health care, there is so much data being generated but there are few ways to understand this information. I’m excited to see companies sprout up that help consumers and healthcare professionals make sense of it all and provide the tools needed to make improvements. Tech Cocktail: What keeps you and your team motivated despite the challenges? Galbo: Everyone on the team is here because we want to improve the quality of care provided by the health care system in America. That mission motivates us on Mondays and often gives us cause to celebrate on Fridays. Personally, I think about the experiences my cofounders and I have had with loved ones and how much better they could have been if Aidin were around. Tech Cocktail: What is the biggest advantage, and what is the biggest disadvantage of creating and launching Aidin in New York City? Galbo: NYC has a great health care community and we’re surrounded by some of the best health care institutions in the world. This has made building a support network for our company much easier than in other cities. Because startups are attracted to NYC though, hiring has become a challenge and you’ve got to really shine if you want to attract the attention of a talented developer. Aidin was a showcased startup for our Tech Cocktail New York mixer.